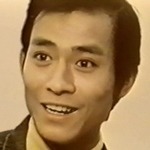 Was one of "The Four Great Male Leads" 「四大小生」in his day along with Ng Chor Fan 吳楚帆、Cheung Wut Yau 張活游、Lee Ching 李清. Nicknamed "Uncle 14" in the industry because he was the 14th child in his family. 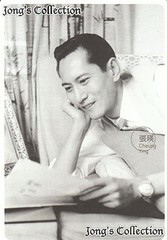 In 1952, together with Ng Chor Fan, Pak Yin, Ng Wui, and others, he founded Union Film Enterprise Ltd. 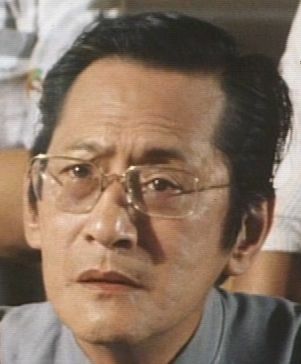 He died of a stroke in Canada while filming "Love Me, Love My Dad". i have the opposite experience, reinafu! i knew him in his ATV roles and only later found out he was a huge movie star in the black & white era. great actor--sorely missed. guess this is the most appropriate place to post this--the things you can accidentally stumble on while browsing YT! this is a black and white HK production starring cheung ying and the story is based on (sometimes practically copied from!) the audrey hepburn/gregory peck Roman Holiday! it's called 金枝玉葉 but doesn't have any other similarities to the anita mui/anita yuen/leslie cheung movie He's A Woman, She's a Man except the title!